The Renewal Queen Low Profile Bed by Napa Furniture Designs at Zak's Home in the Tri-Cities, Johnson City, Tennessee area. Product availability may vary. Contact us for the most current availability on this product. 200-50F Footboard + Rollout Slat 1 70.94" 5" 9.02"
200-50R Side Rail 1 82.01" 5" 9.02"
200-50H Bed Panel Queen / Headboard 1 71.34" 2.52" 40.94"
Finish All wood is double sealed before assembly to insure correct and consistent moisture content; pieces are finished with a seventeen step hand sanded, hand rubbed, and hand stained process producing a deep rich grain quality finish. Drawer Suspension Drawers are fitted with ball bearing glides. Case Construction Handcrafted in durable, solid Mahogany, Mango, & Mindi reclaimed wood; Mortise & Tenon and corner-blocked construction throughout. As its name suggests, the Renewal collection seeks to breathe fresh life into old staples and materials. 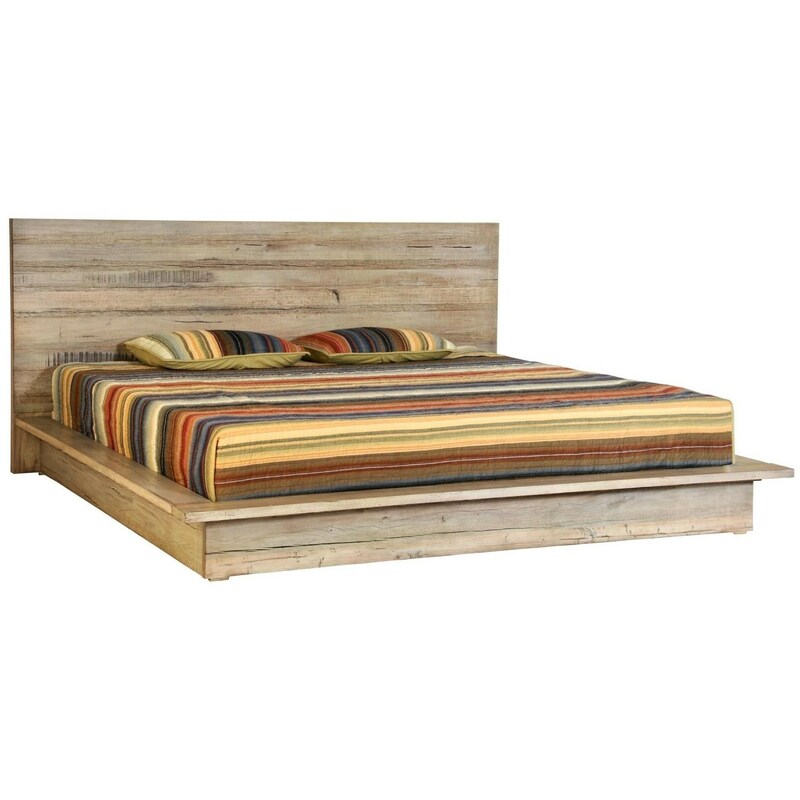 Crafted from solid mahogany, mango, and mindi reclaimed wood, each piece is full of character, with a light finish that captures the look of driftwood. Clean lines and simple silhouettes keep the focus on the natural materials for a contemporary rustic look and feel that is both warm and modern. The Renewal collection helps you capture the relaxed, welcoming atmosphere that characterizes organic modern style. The Renewal collection is a great option if you are looking for Rustic Contemporary Coastal furniture in the Tri-Cities, Johnson City, Tennessee area. Browse other items in the Renewal collection from Zak's Home in the Tri-Cities, Johnson City, Tennessee area.